Babies and rice pudding, they go together like peas and corn, agreed? 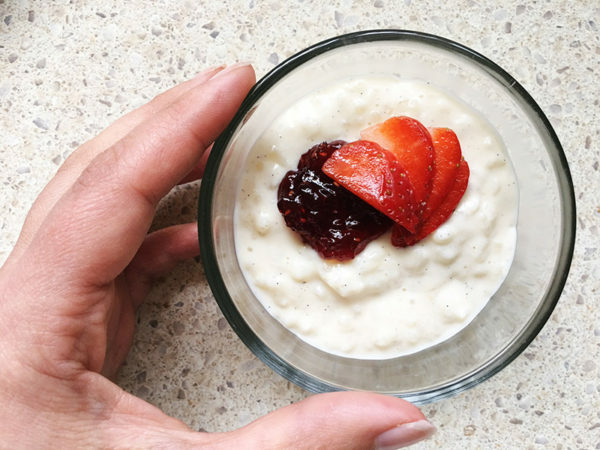 A yummy dessert for littlies aged around one year, here’s how to win at baby’s dessert with rice pudding! An oldie but a goody, rice pudding was always a hit when my babes were little. Leave it plain or spruce it up, eat it warm or cold, it’s entirely up to you. 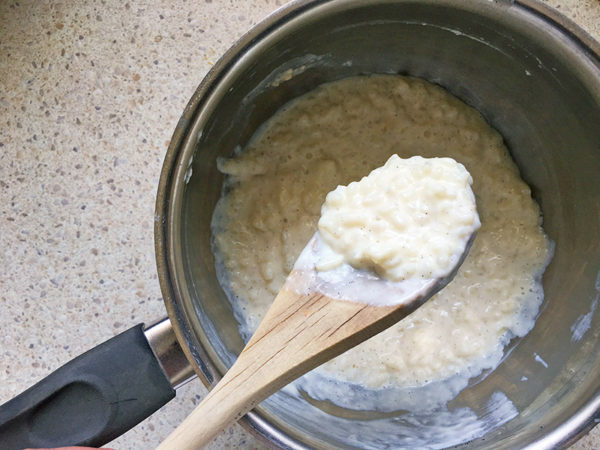 This recipe makes around a cup of creamy rice and any leftovers can be frozen to eat later. 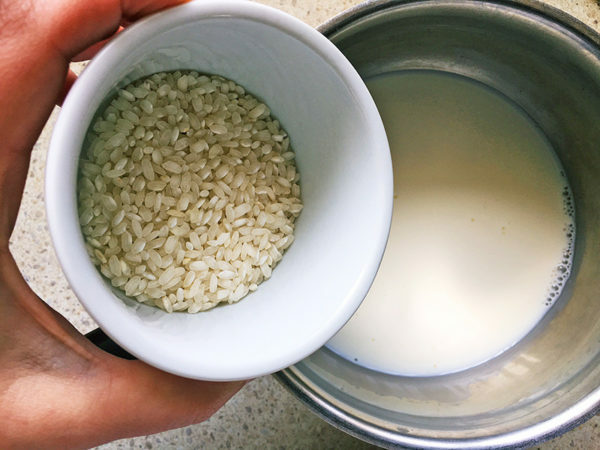 In a small saucepan, combine the milk, sugar and arborio rice. 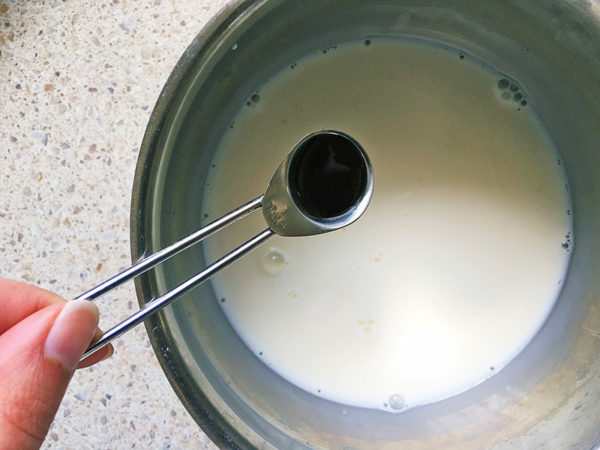 Add the vanilla bean paste. Bring to the boil. Cover with a lid and let simmer on low heat for half an hour. Give it a stir every seven to ten minutes. You’ll know it’s cooked when it’s creamy in consistency and the rice is soft. Let cool slightly before serving. 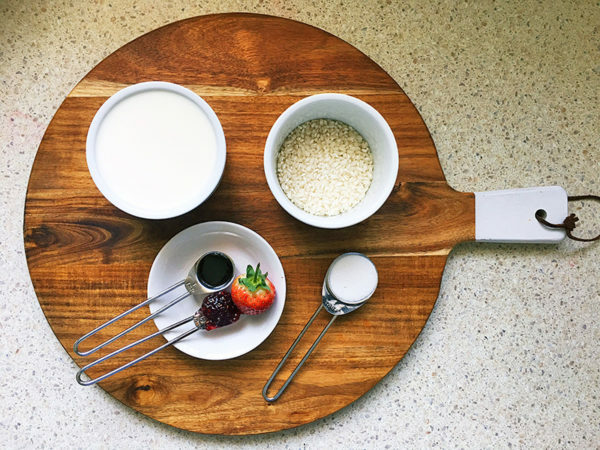 Serve with a teaspoon of low sugar jam, pureed fruit or slices of soft fruit. Delicious!